Travel through 10 levels and fight two bosses in this bullet hell game. Hold the right mouse button to pause time, then release it to teleport to your mouse. Your teleport can get you out of sticky situations! Don't just hold onto it! We're releasing the source code for the game if you want to check it out! 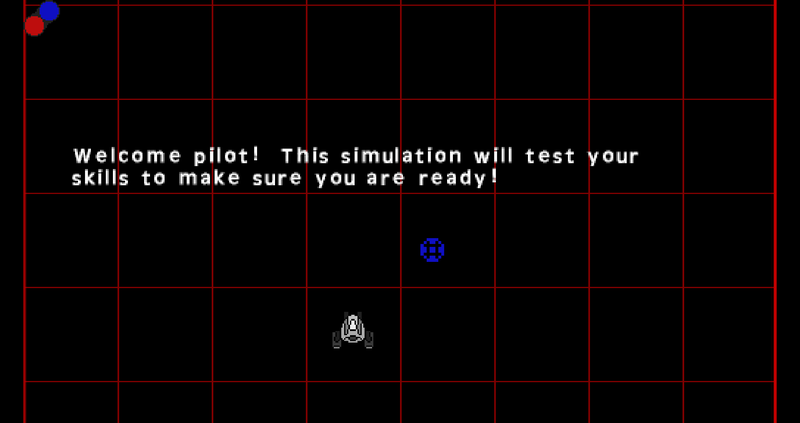 Just note that the source code might end up being a few versions behind if there are any bugs to squash! I really liked this! I love bullet hells! Really nice graphics and sounds. Bullet hells usually have pretty small hit boxes for the player but this hit box felt almost bigger then the player. This made the game really hard even on the second level. I'm gonna try again later to try to get to the bosses! That was really fun to play. I'm not gonna delete it right away, I,ll beat the game first. It's fun. Aside that, the hitbox for your ship is pretty big it seems. I absolutely love this game! It’s impressive how much you three made in this jam. The controls was easy and comfortable. The levels was varied with lots of different enemies and two bosses. I liked how the music changed when you enter a boss fight and all the sound effects. I also restarted and found out that it saved my progress which is rare In GM48. The art is good but I think it needs more color. 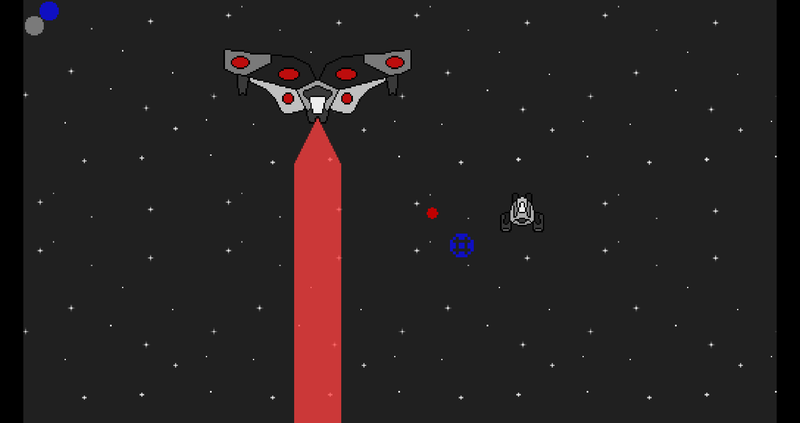 Avoid using completely gray colors for the space ships and the background. You can add a touch of blue for the spaceships (or give them a completely different color). Look at the space background of super Mario galaxy 2. It’s not black at all. Hi Ivar, glad you enjoyed it! I didn't do the art, but the grayscale pallet was originally a stylistic choice, but we realized that bullets were too hard to see and made them red. I'm glad you enjoyed the controls and my last-minute save system, I was glad to get those in there. Thank you for playing. Going all grey was a direction I went with because it was something I've always wanted to do. 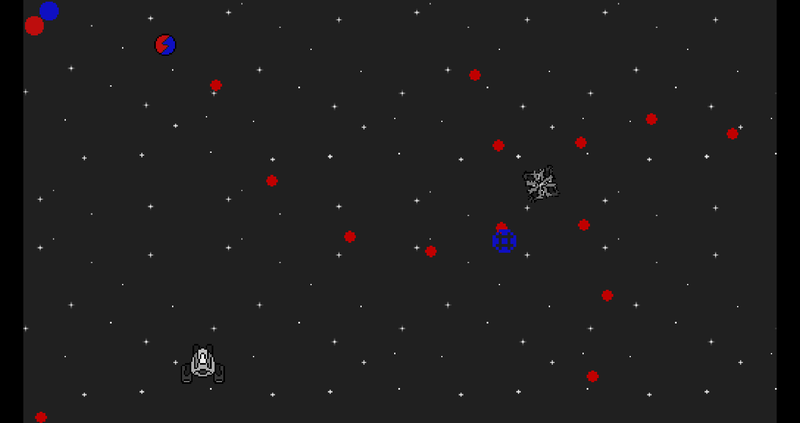 Henry and I are continuing work on the game and I've made sure to skew the greys with more reds and blues. I appreciate the feedback. I really enjoyed your game, the gameplay is so great! I loved the music of the game and it was so nice to play. It's smart the way you changed main mechanic of "shoot them'up" games (unlimited ammo) as one shot (one ammo). Very good job, one of the best game of the Jam. Found a bug ! Object laser couldn't find object boss when you shot the boss from his big laser position. I guess you destroyed the instance boss without destroying his laser. Hope it could help. Thank you so much. I'm really happy you enjoyed it. Thanks for the information about the bug. I don't know anything when it comes to that but I'm sure X (Henry) will appreciate the feedback. Thanks for the feedback. I'm glad you enjoyed the game. I agree that the curve is steep but with so few levels the difficulty is going to spike pretty hard. We could have done more but we didn't want the game to get so long that people just stopped playing. Thanks again. It's surprisingly difficult! The beginning tutorial is very nice, although I had to start it over a couple times because I accidentally offed myself. The gameplay is pretty polished, but I got a little bored and frustrated after dying a few times in the first level and having to go all the way back to the beginning. This is not a forgiving game in any sense of the word! I felt that having only one shot and one teleport, while it makes sense in the context of the theme, was a little too limiting to be fun. One last thought - some dynamic visual effects might have added to it - everything felt slightly anticlimactic to me. And the sound effect for enemy shots being fired got annoying after a while. Good job overall though, it got me to keep playing until I could finish at least one level! Thank you. I agree with you about the dynamic visuals. I've always been a traditional artist so going to pixel is been an experience. The level design was a bit harsh, I tend to make difficult levels for some reason. Something I should probably work on. Thanks again for the feed back and I'm glad you enjoyed it. Pretty addictive little game. I like the sound and the controls are smooth. You might add some variety to the background. Other than that, great game! Glad you enjoyed it! We enjoyed making it.